Are the reasons for orthodontic treatment purely cosmetic? No, that’s a common misconception. Orthodontic treatment can boost a person's self-image as the teeth, jaws and lips become properly aligned, but an attractive smile is just one of the benefits. The alleviation or prevention physical health problems are just as important. Without treatment, orthodontic problems may lead to tooth decay, gum disease, bone destruction and chewing and digestive difficulties. A "bad bite" can contribute to speech impairments, tooth loss, chipped teeth and other dental injuries. What causes “bad bite” in the first place? 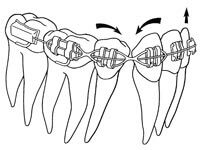 Most orthodontic problems are inherited, including tooth size and jaw size, and may lead to crowding of teeth or spacing of teeth. Overbites, under bites, extra or missing teeth, and irregularities of the jaws, teeth, and face also are inherited. Other orthodontic problems can be caused from accidents, pacifier or thumb sucking, dental disease, or the premature loss of either the primary or permanent teeth. When is the ideal time to seek treatment? The best age to do the orthodontic treatment is when you are twelve to thirteen years of age as all the permanent teeth have usually erupted by this stage. 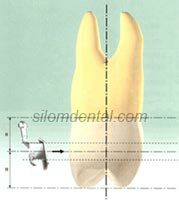 The jaws are growing at this age and so it is easier to expand your jaws and reshape your mouth. However, it may be worth seeking advice even earlier. By the age of seven, enough permanent teeth have come in and enough jaw growth has occurred that the dentist or orthodontist can identify current problems, anticipate future problems or alleviate parents' concerns if all seems normal. How do I know if my child is a candidate for early orthodontic treatment? Your child should be visiting his/her dentist every six months and they will advise you on any treatment your child requires. However, there are many signs or habits which you may be able to recognize yourself. There are no age limits! Orthodontic treatment can easily be done at an older age, if the dental and gingival health is good. Many people did not get braces when they were young. Either their parents could not afford braces, or their teeth could not be straightened with the techniques of 40 years ago. Most adults get orthodontic treatment because they realize that taking care of your smile is part of taking care of yourself. 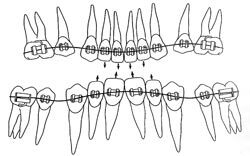 Other people did have orthodontic treatment when they were young, but they did not wear their retainers until they stopped growing (you should wear your retainer until you are 24). The result is that their teeth are now a little bit crooked. Now they are unhappy with their smile so they get braces too. Orthodontic treatment does take longer when you are older. It also feels a little different. Still, people as old as ninety are getting braces. People who live to the age of ninety know how important it is to take care of their teeth and orthodontic treatment is a part of that. I am too self conscious to wear braces. Are there any alternatives? Today, a greater premium is placed upon personal appearance than ever before. Many patients feel that visible appliances on their teeth would hinder them greatly in reaching their professional and personal goals. For the many adults seeking healthier, more attractive smiles, the orthodontist offers several alternatives to metal braces.